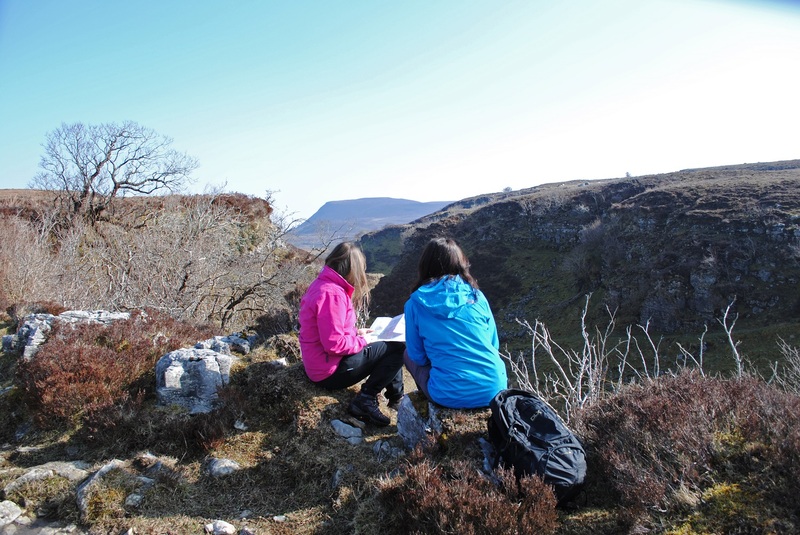 Outdoor Recreation NI / News / Cuilcagh to Cleenish: A Great Place – Ready for Launch! Cuilcagh to Cleenish: A Great Place – Ready for Launch! The ‘Cuilcagh to Cleenish: A Great Place’ project will be launched on Thursday 31 January 2019 in Arney Millennium Hall at 7.00pm. The innovative partnership project was community-led from the outset with the key concept and activities identified through consultation with local community groups. Running until March 2021, the project will continue to proactively engage with communities through locally identified heritage activities and aims to create a strategic Community Trail Network that will shape the future development of the area as a connected place where local people will be proud of their history and culture and where visitors will be keen to visit and explore. The project has received £270,000 of funding from the National Lottery via the Heritage Lottery Fund (HLF) with additional funding provided by Fermanagh and Omagh District Council and Outdoor Recreation Northern Ireland. The HLF investment was made possible through the National Lottery’s ground-breaking ‘Great Place Scheme,’ with ‘Cuilcagh to Cleenish: A Great Place’ being one of only four projects to receive funding through this scheme in Northern Ireland. Commenting on the launch, the HLF is pleased to be able to support a unique community led project that will connect the local communities of Cleenish, Bellanaleck, Arney, Killesher and Florencecourt through the rich heritage, history and culture of the area. The ‘Cuilcagh to Cleenish: A Great Place’ project delivery will be led by Outdoor Recreation Northern Ireland (ORNI) who are a not-for-profit organisation responsible for developing, managing and promoting outdoor recreation in Northern Ireland. Chris Scott, Head of Operations for ORNI highlighted that the organisation is looking forward to developing the outdoor recreation opportunities in Fermanagh “ORNI is delighted at the prospect of working with local people in the area to identify a suite of trails that will connect communities and their identified local heritage sites between Cuilcagh Mountain and Upper Lough Erne”. ORNI will deliver the project in partnership with Fermanagh and Omagh District Council, through the resources of Marble Arch Caves UNESCO Global Geopark, Cleenish Community Association and Killesher Community Development Association. However, proactive engagement with other key organisations in the area will be ongoing to maximise the benefits of partnership working. The project has contracted in the services of a Local Coordinator who will oversee the delivery of a range of heritage activities such as archaeological digs, folklore and rural craft workshops, citizen science and history talks. Barney Devine, ‘Cuilcagh to Cleenish: A Great Place’ Local Coordinator stated that the launch of the programme is an exciting development for the area. “Between Cuilcagh mountain and Upper Lough Erne there is an exceptional, yet largely overlooked area of Fermanagh. Rich in history, heritage and culture the area recently gained recognition for two award-winning (and HLF supported) local projects delivered by Cleenish Community Association and Killesher Community Development Association entitled “Battles, Bricks and Bridges” and “Making It Home” by Bellanaleck Local History Group. Both projects were significant because of their use of community-led archaeology and local history research”. Everyone is welcome to attend the community launch event and to hear about the programme. Light refreshments will be served and award-winning local musicians will perform.